Check out our latest ad in CNC West Magazine from the April/May 2016 issue. 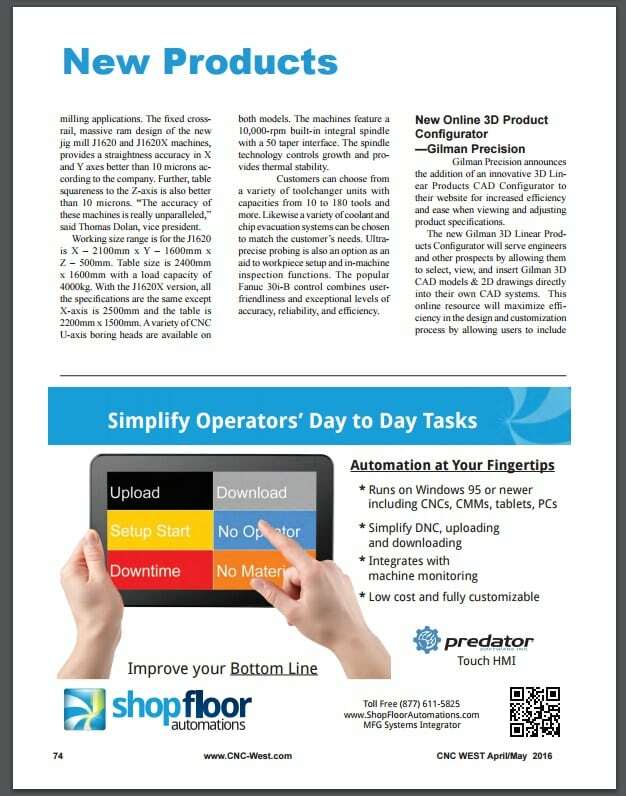 Predator Touch HMI is the latest edition to our software line and we are excited to spread the word with CNC West Magazine! 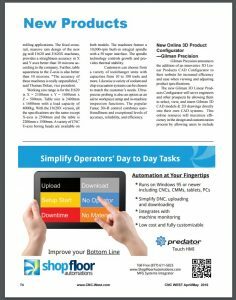 Predator Touch HMI supports creating easy to use big button manufacturing shop floor interfaces for data collection, process, or shop floor automation. Clicking or touching a big button will trigger one or more actions. Often Predator Touch HMIs replace bar code readers and QR code readers. This Windows-based software is licensed per site. An unlimited number of HMIs can be created and installed on Windows-based PCs, CNCs, CMMs, test stands, and other shop floor equipment. Predator Touch HMI is designed for today’s security requirements with most functions running on the server via Predator DNC, MDC or PDM. For example, email messages are sent from a central Predator DNC server and not from individual shop floor PCs running Predator Touch HMI. Tweet us at @SFA_inc to tell us what you think, or call us if you have questions at 877-611-5825!